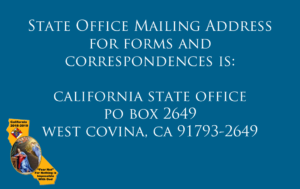 On behalf of the California State Council, we extend to you a personal invitation to join us at the ‘Town & Country Resort’ in San Diego on May 16-19th for our 117th Annual State Convention. 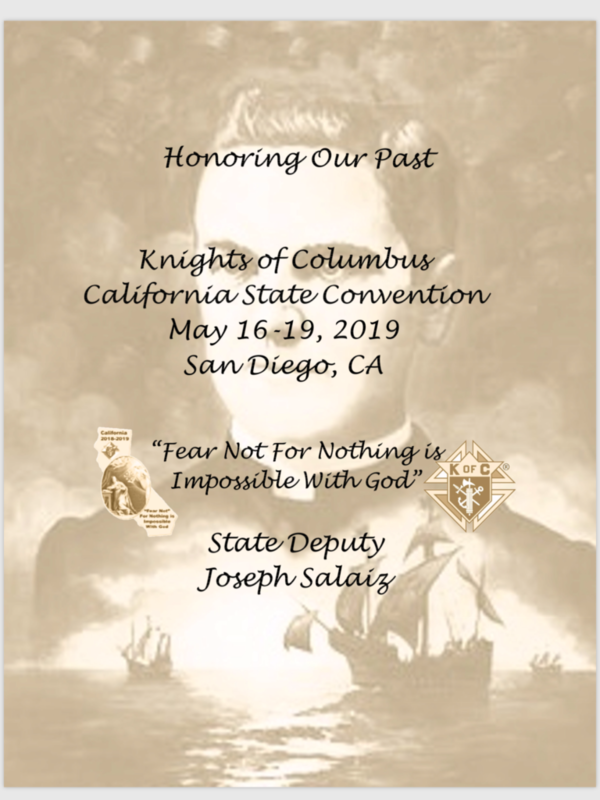 The theme for Convention 2019 is “Remembering Those That Came Before Us.” If you would like a copy of the Pre-Convention Program, click on the image to the left to view or download a pdf copy of the program. 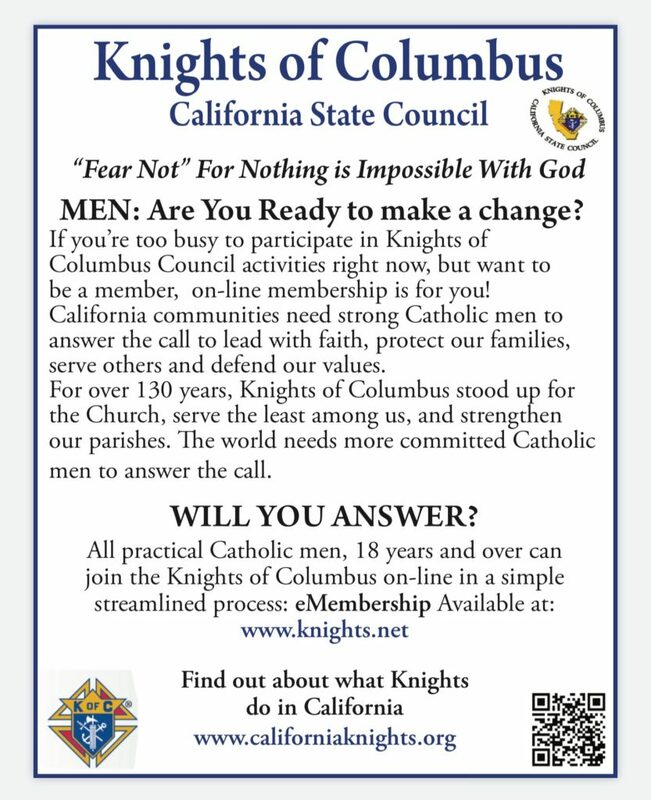 The programs contains all events that we will have for the three days in Sacramento. The State Convention will be ‘headquarted’ at the ‘Town & Country Resort’ in San Diego. 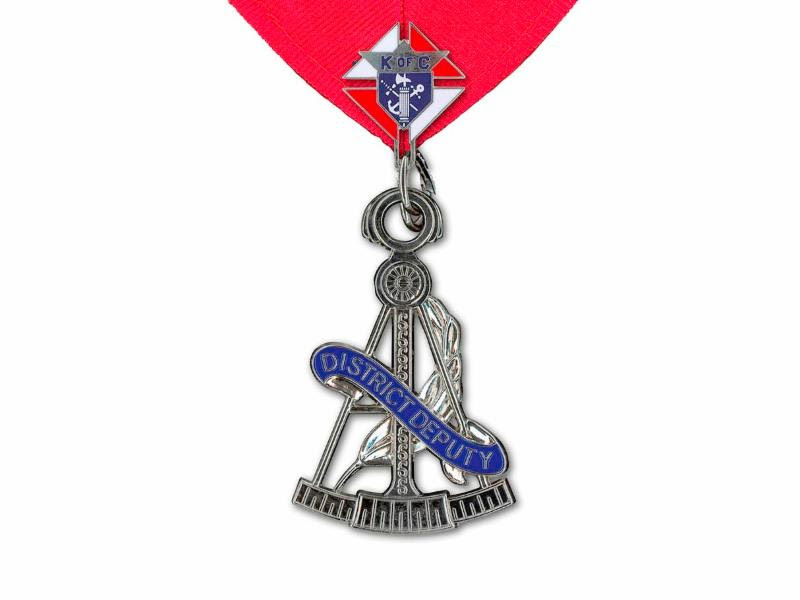 We are expecting a large turnout of Brother Knights and Family members so the State Convention Committee has made arrangements with other local hotels to accommodate us. We will have complimentary shuttles to and from all the partnering hotels to the convention headquarters at the ‘Town & Country Resort’. 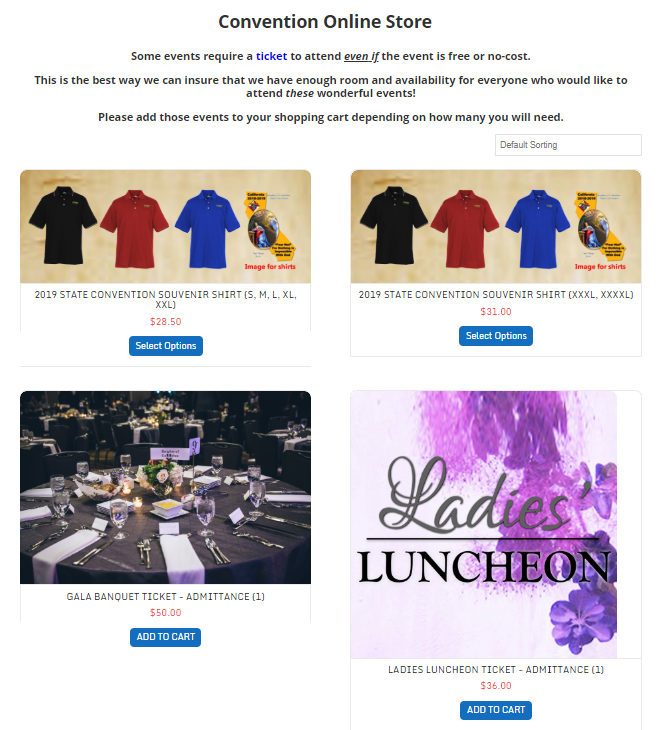 Our Convention Store is ‘live’ online ! Thursday Night Welcome Party – Fiesta!